This gorgeous lucky charm follows you around all day every day and adds some shine to your wrist with the dainty golden heart charm. 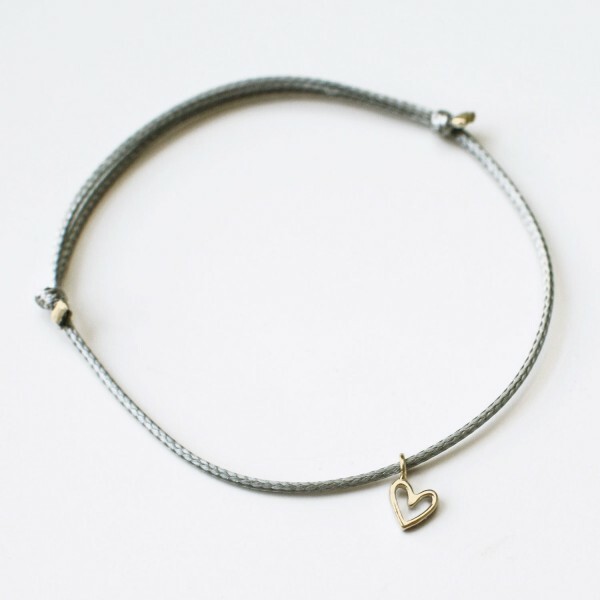 With an adjustable bracelet, this lucky charm is the perfect fit for you, your best friend, sister or partner. You can find the silver bracelet here. Care tip: To keep your bracelet as gorgeous as it is, please avoid any contact with water or other liquids.